With black as its basic tone, the book corner creates a calm atmosphere. We secured the same floor space as the old one in order to answer the students’demand. 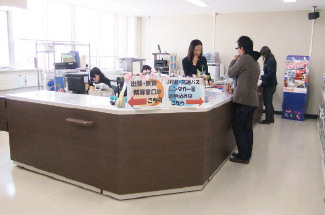 Before renovation, Chuo Store (nicknamed ‘Co-Buy’) in Iwate University Co-op was always very crowded at lunch break even if all eight cash registers were in full operation. 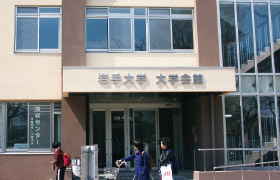 When Iwate University decided to do seismic reinforcing work on its buildings, Iwate University Co-op also initiated interior construction work. General Meeting of Representatives in May approved plans to ease congestion problem. 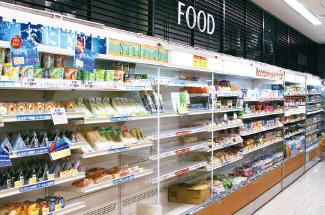 The shelves to display bento (lunch boxes, made by Co-op) and freshly baked bread and sweets that were put near the entrance are now moved to the right side of the entrance. 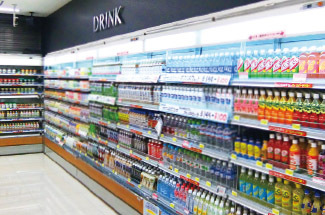 With this layout change, we are able to divide the flow of people lining up for the cash register and the flow of people going towards the exit. In addition, the automatic door at the entrance now opens twice as wide as it was before. We also added windbreak room (around four and a half tatami mats in size), which enable students to go in and out of the store without having to stop waiting for other students to pass by. 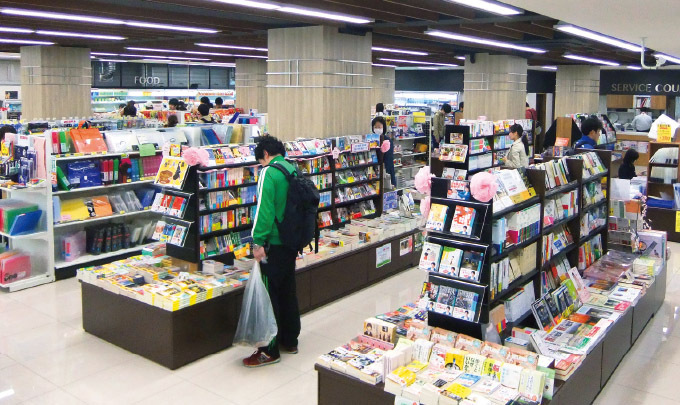 After the renovation, students commented that the new store did not look like a typical university co-op store. They were surprised and delighted with the new look. Food corner and the adjoining drink corner near the entrance. 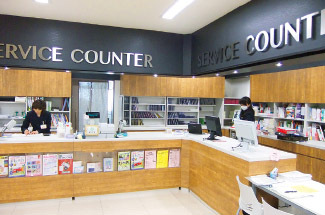 A spacious service counter inside the store. Travel center near the entrance of Daigaku Kaikan Building. 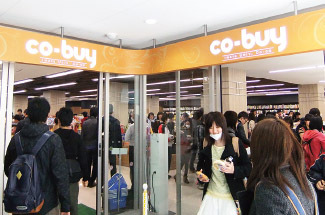 At lunch break, the store entrance and exit become one-way traffic.